A raw dog food diet has gained in popularity over the past several years. Bones and raw food (BARF) are given to your poodle and not processed foods. 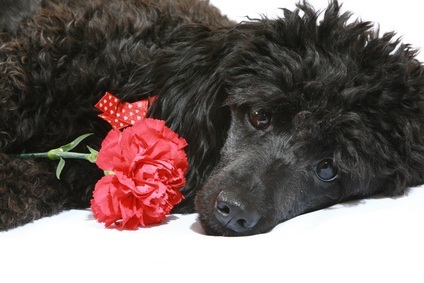 Users of raw diets for pets say their poodles are healthier and more energetic with shinier coats. Others say uncooked food harbors bacteria. Those in favor of raw diets say the bacteria aren't in the dog's digestive system long enough to cause harm. If you want to try a raw food diet, be aware that salmonella and E coli are always a possibility in raw food. You need to clean all areas that your dog's food has touched so as not to spread the salmonella or E coli to other foods. You will probably need to give your dog vitamins and minerals to keep the diet balanced. These include vitamins B, C, E, fish and flaxseed oils. And, the diet is not just meat with bones. You need to feed her a variety of foods. Ask your vet for suggestions and her opinion on this diet. 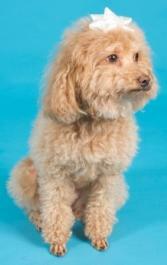 A typical raw food diet day includes a meaty bone in the morning (1 for a toy poodle, 2 for a miniature). A standard can be given a turkey neck bone, toys and miniatures chicken necks. In the evening, muscle or organ meat and vegetables are given. Be extra careful with bones as splinters can be eaten and lodged in her intestine. Remember to cook the veggies so your dog's body can break them down. Or process them in a blender. You can cook potatoes to give him a variety in his diet. It's much better to pressure cook bones for 24 hours to make them turn to mush, grind or crush them as fine as possible. I'm not a bone fan at all and never gave them to Holly. Raw food diets aren't for every dog. Your poodle may thrive on it, or she may not. You can try it for a few weeks and see how your poodle reacts to it. You can also alternate raw food with regular food every few weeks or months.